TITANIC TOURISM. For a battered cruising industry, with the Costa Concordia crash in fresh memory, the 100 year anniversary of the Titanic disaster in 1912 might not be seen as perfect timing. 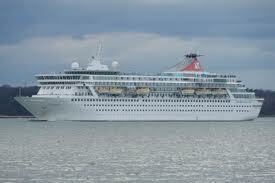 But the Fred Olsen Cruise Lines of the UK thought different, and thus launched the Titanic Memorial Cruise, using its newest vessel, the MS Balmoral. The ship departed on April 8th from Southampton in the UK, carrying the same number of passengers as the Titanic one hundred years earlier, and went on to Cobh, Ireland, Titanic’s last port of call. From there, the Balmoral headed out on the Atlantic to arrive at the location of the sinking of the Titanic on Saturday April 15th. There, two memorial services are held onboard the Balmoral. On Friday April 20th, the Balmoral will arrive at Pier 88 of Manhattan Cruise Terminal in New York. Some of Balmoral’s passengers, many of whom are relatives to those who went down with the world-famous liner, chosed to dress up for the occasion in a fashion derived from the Titanic era. One of them, Graham Free, 37, was dressed as an Edwardian gentleman and described his excitement for the cruise as he waited to board in. 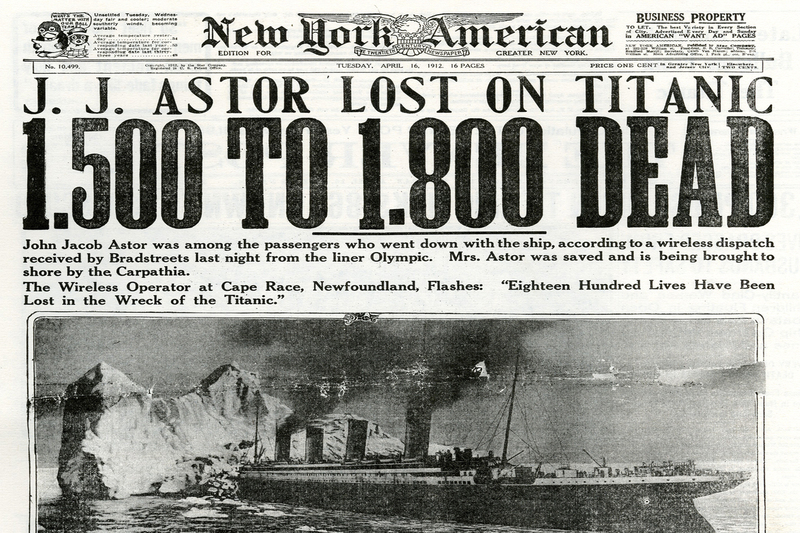 Titanic front page of the New York American. “I have been a fan of the Titanic since I was nine years old and this cruise is the closest you are going to get to it. The trip has cost a considerable amount, but I wanted to do it”, Free explained to the Associated Press. The Balmoral’s owner, Fred Olsen, is owned in turn by shipyard Harland and Wolff, which built the Titanic in Belfast, Ireland. It has been chartered for the event by Miles Morgan Travel, which specializes in tailor-made holidays, according to AP. For Titanic fanatics who were left without the budget necessary to hop aboard the Balmoral cruise, there are still new options to cave down in the history of the ill-fated vessel. → A new Titanic museum, called the Sea City, has opened in Southampton by decedents to crew members on the liner. → In Belfast, another museum has opened in a quarter down by the harbor named ‘Titanic Quarter’. Visitors can examine the slipway where the Titanic and her sister ship the Olympic were built, among other things, the Guardian reports. → National Museums of Northern Ireland has new exhibitions regarding the ship and her passengers. → In the US, the Titanic Attraction is gearing up with new displays on two locations. 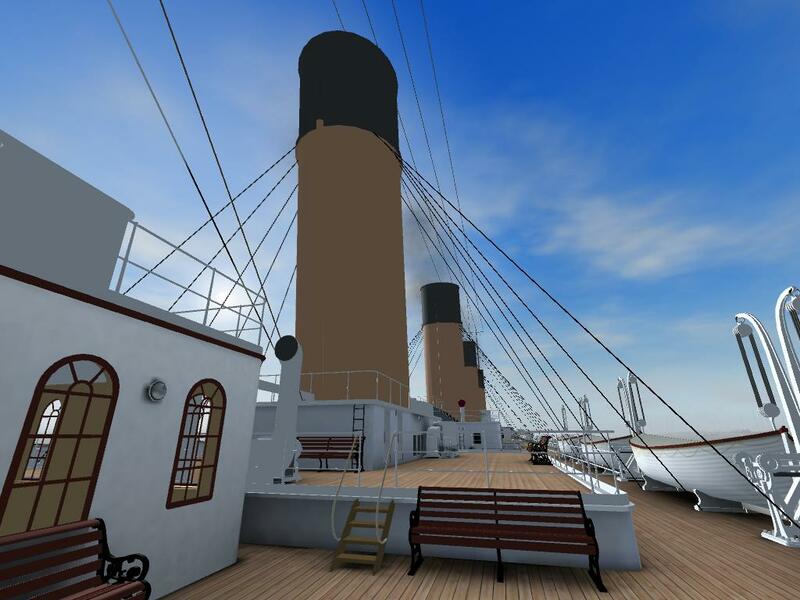 → For gamers, using Windows computers, it’s possible to walk around on and even assume the role of Captain Smith himself by downloading a refreshed version of computer game developer ShipSim’s digital Titanic replica (see picture below). Games developer ShipSim's digital version of the Titanic. For Belfast, with its troubled past, the expected inflow of tourists one hounded years after the disaster is welcomed. Academics, though, now mean the city has “coarsened” itself by exploiting the memory of the the ship and its victims. 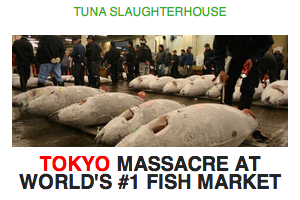 “The city has lived with the shame of the sinking for many years. That has turned a corner and it is important that the role Belfast’s great shipyard played in our maritime history is acknowledged”, William Neill, a professor of urban planning at Aberdeen University, says to the Telegraph. The RMS Titanic hit an iceberg around 11.40 pm on April 14, 1912, shortly after lookout Frederick Fleet had spotted the floating mass of ice dead ahead. The liner kept afloat until after midnight when its sinking rate increased. At about 02.20 am on April 15, she sank.